As a baby planner, I have helped put together TONS of baby registries. I’ve perused through every shopping lane at Babies R Us, Target, Pottery Barn, and more testing out the many different kinds of products to help parents choose the right ones for them. Building a registry can take a lot of effort and hard work. It’s exhausting and sometimes (or most of the time) intimidating. What do you need? What can you leave off? What stores do you choose? And what’s the best way to set up your registry? Trying to find the exact products that you want for your little one that will accommodate your lifestyle and your budget is a major task. Not to mention trying to find them in only one or two stores so you don’t have a million different registries is almost impossible. In the past, the only choice expecting parents had when it came to creating their baby registry was picking a store or two and walking through each aisle with the store gun selecting the items they wanted on their registry. Nowadays, every store has a website (or an Etsy shop) that you pick and choose from. This makes it even that more difficult. What if you want your crib from Pottery Barn, but your stroller from Giggle, and your baby’s organic bath supplies from a small boutique? It makes it close to impossible to only pick one or two stores to choose all the things that you need and want for your child. Luckily, now things are much simpler. And we can thank Babylist for that. Babylist is the site that I have been sending my clients to for years when it comes time to create their baby registries. You can add literally anything to your baby registry with Babylist. That includes small boutique items, babysitting help, dog walking, home-cooked meals, or even a college fund! You can also merge existing outside registries to keep all of your registered items in one place. I wanted to experience the site for myself since the last time I had tested it was in 2012. I went on the Babylist website and made a registry and, honestly, it was super easy and actually fun to add all of the products and services that I love. It’s seriously as simple (and addictive) as Pinterest. All you have to do is go to their website, click on “Create Your Babylist,” and you are ready to get started! First it will ask you to create a login (and if you want it public or private), then it will ask you some questions to create your profile. This takes only a few minutes. After that the site will help you add your “Add to Babylist” browser button to your toolbar. Just like a “Pin it” button from Pinterest! This button makes it incredibly simple (and a little dangerous) because now whenever you are on a website looking at adorable baby things on your computer, all you have to do is press your “Add to Babylist” button and you can add anything to your baby registry. I’m obsessed! Once you have completed adding your Babylist button, they will show you some of the most popular items that you can add to your registry. It isn’t necessary if you don’t want them, but I found that super helpful for parents who might not know where to start. If you’re wanting to see my Baby Registry Must-Haves, check out my Babylist Registry here to see if there are any items that you may want on your registry! For a little history, Natalie Gordon, founder of Babylist, is a former Amazon developer who knew she could do baby registries smoother and prettier than Amazon, so she broke off and built her own company while pregnant with her first baby. In 2011, two weeks before her son arrived, Babylist was born! Five years later, the Oakland-based startup is now one of the largest baby registries in the U.S. and is making baby registries more personal and less overwhelming for thousands of expecting families everyday. 1. As I’ve mentioned before, you can add ANYTHING from ANY store. I’m not joking. I added Etsy nursing pillow covers, things from Amazon, Giggle, Pottery Barn Kids, Land of Nod, Little Unicorn, etc. It doesn’t matter how big or small it is, you can add it! 2. You can merge multiple registries. If you already have registered at a store or two, not a problem! You can transfer all of the items to your Babylist, or just add the link to your other registry if you’d like to keep the other registry separate. That way you can keep all your items in the same lovely place. If you have problems adding things from one registry to another (like I did) their staff will help you and do it for you. Can you say amazing customer service?!! This was the email I received after I had difficulty transferring a baby registry. Just like that it was taken care of. 🙂 Great experience! 3. Add things on your registry like help & favors. On your Babylist registry you can even add meaningful gifts money can’t buy like home-cooked meals, second-hand baby clothes, or help walking your pup. 4. You can support small shops! Does your friend make the most beautiful layettes and has an Etsy store? Awesome! You can add unique gifts like that to your Babylist registry that you wouldn’t be able to find at a big-box store. 5. They keep you up-to-date. Babylist sends email alerts when there are price changes or availability updates on your baby registry. I found this so helpful because it can be quite annoying for your friends and family when a bunch of your registry items go out of stock. 6. It’s not just for baby! I thought that it was so nice to be able to add some things on the registry that isn’t just for baby. You can add some new pajamas, a maternity robe, a date night cash fund, your Netflix subscription and your Amazon Prime membership, too! 7. Start a cash fund. Babies are expensive. With Babylist you can start that college fund (or diaper fund) with help from your village. And Babylist transfers the cash straight to your bank account! So convenient! That can help with a lot of things especially those big ticket items. 8. Their “Hello Baby” digital magazine. Babylist’s digital baby magazine offers guides, sample registries and articles that help break down what you might need, why you might need it, what you can use instead, and also share the top products as told to them by their users. 9. You receive FREE personal registry consulting! 10. You can get FREE registry inserts. I love how Babylist also offers free insert cards for your shower invites! For their U.S. customers, it takes 5 business days to ship. For their Canadian customers, allow 10-14 business days for your shipment. If you need your cards sooner you can download their pdf and print them at home. 11. They have a FREE and easy-to-use app. 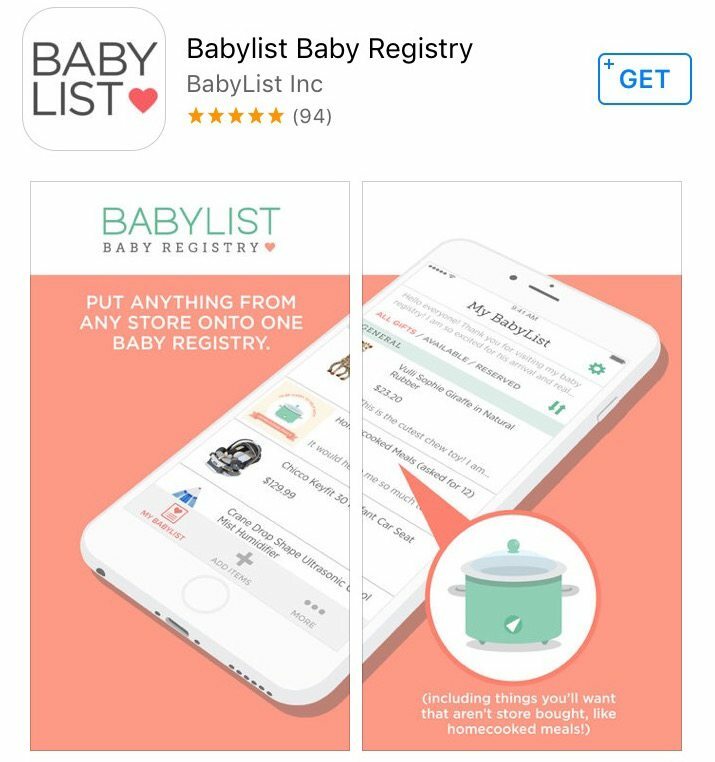 If you think of an item that you want to add on your registry on the go, just pop open the Babylist app and you are good to go! It is free and compatible with iOS and Android. Image of their app when I was logging in. It’s awesome that Babylist also offers free shipping on orders over $25 shipped by Babylist. They also allow your gift givers to choose which retailer they want to purchase from. Of course other retailers have their own shipping policies. This really is my dream baby registry website because it makes registering for products fun! It’s no wonder that it’s the fastest growing universal baby registry out there. 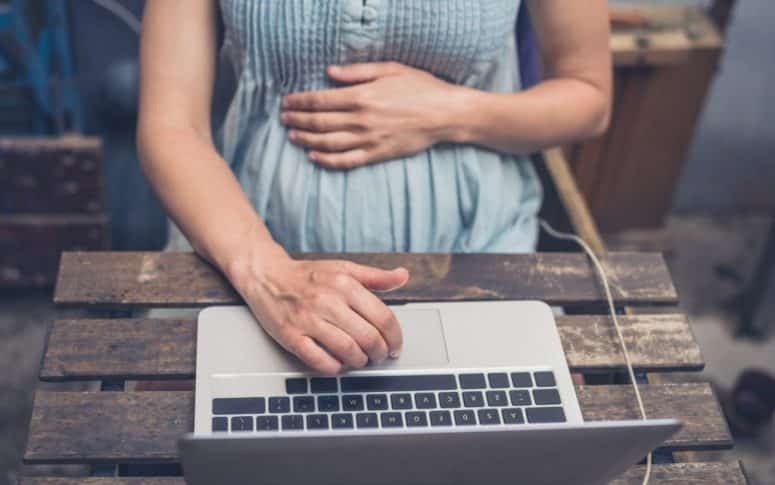 They make the whole process enjoyable and a lot less overwhelming with their free personal registry consulting from their Happiness Heroes and Hello Baby, their sample registries, and a huge variety of pregnancy and parenting articles. If you still aren’t sure what you want to register for they even offer a quiz to help narrow down the perfect items for you. Their questions were too cute and quick to answer. This took me only 2-3 minutes to complete. I can’t recommend this company and their site enough to expecting mamas. Two thumbs up!! You won’t regret it.